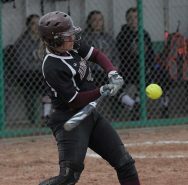 BELGRADE — A successful Saturday ended on a down note for the Butte Central softball team. 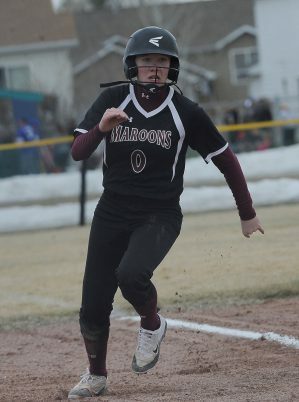 The Maroons won four games in a jamboree tournament before dropping an 11-1 non-conference decision to two-time defending Class A state champion Belgrade. The Belgrade is the only game that counts in overall standings. Madi Kreiger homerd and Erin Elgas scattered four hits over five innings to lead the Panthers in the game following the jamboree. The game was called after five by the 10-run rule. Hazel Eaton, Olivia Cook and Haylee Curry doubled in the win. Sofee Thatcher smacked a pair of singles for the Maroons. Emma Keeley and Kenzie Norton each added a single. The Maroons knocked off Missoula Hellgate, Anaconda, Manhattan and Dillon in the jamboree. The most exciting of those games was the 2-1 win over Class AA Hellgate. Thatcher homered and fellow freshman Maggie Stimatz celebrated her 15th birthday with a sacrifice fly for the game-winning RBI. Zoe Doherty and Emma Keeley each hit a double and a single in the win. Cassidy Strizic doubled. Makala Doherty struck out five and scattered four hits in four innings in the win. 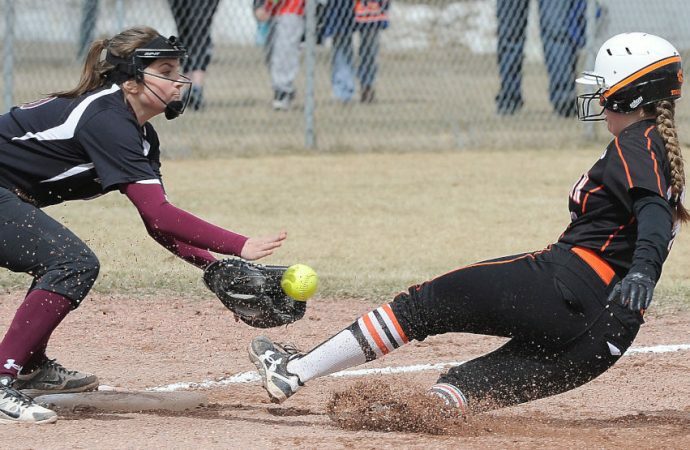 Central also beat Anaconda 11-2, topped Manhattan 8-0 and rolled past Dillon 21-0. Keeley tripled, doubled and singled, while Zoe Doherty and Thatcher doubled in the win over the Copperheads. Zoe Doherty also smacked a pair of singles, and Makala Doherty joined Reopelle and Norton with a single. Central’s win over Manhattan saw Maddie Kump triple and double while driving in three runs. Thatcher and Zoe Doherty added a double and a singe, while Keeley, Reopelle and Stimatz singled. Makala Doherty fanned seven and gave up just two hits over seven innings. The Maroons pounded 16 hits in just three innings against the Beavers. Reopelle went 4 for 4 with two RBIs and three runs scored, while Zoe Doherty went 4 for 4 with two doubles and six RBIs. Kump, Keeley and Brenna Foley each hit a double in the win. Thatcher and Keeley hit a pair of singles, and Kenzi Norton and Strizic also singled. Reopelle struck out three Dillon players over three perfect innings. BC will get another shot at Belgrade Tuesday when they host the Panthers at 3 p.m. at Stodden Park. Makala Doherty, Maci Reopelle (5) and Emma Keeley. Erin Elgas, Kaleigh Bauerle (5) and Haylee Curry. W — Elgas (2-0). L — Doherty (2-2). 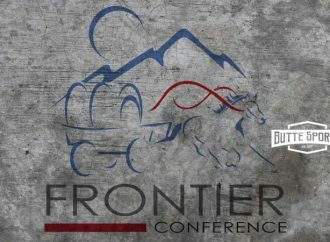 BUTTE CENTRAL (2-2) — Sofee Thatcher 2-3, Madison Kump 0-1, Keeley 1-2, Cassidy Strizic 0-2, Zoe Doherty 0-2, Reopelle 0-2, M. Doherty 0-2, Maggie Stimatz 0-2, Kenzie Norton 1-2. BELGRADE (2-0) — Kamie Gorrell 1-2, Sheridan Smith 0-1, Hazel Eaton 2-4, Lanie Morgan 0-3, Olivia Cook 1-3, Maddisen Tomasetti 0-1, Madi Kreiger 1-2, Kenna Thomas 1-2, Ellie Milesnick 2-3, Curry 1-2. HR — Kreiger. 2B —Eaton, Cook, Curry.